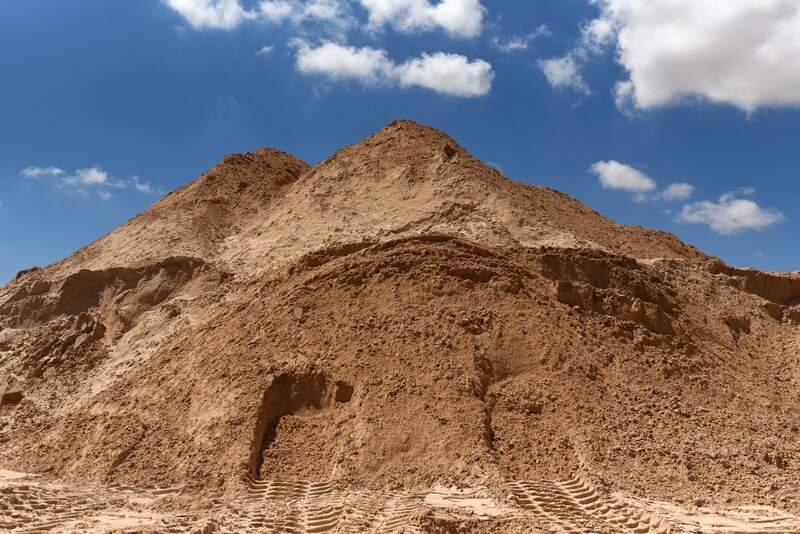 A pile of sand stands at a mining facility in Texas. Companies in Texas will mine and ship some 22 million tons of sand this year to shale drillers all around them in the Permian Basin. Twelve months ago, none of them existed – not even the mine owned by Edwards’ employer, Hi-Crush Partners. It was the first of its kind here in West Texas. Day one was July 31, 2017. Ten others immediately followed. And another 10 or so are now hustling to get started. David Cutbirth, the longtime mayor of the nearby town of Monahans, is dumbfounded by it all. Until the miners arrived, these dunes were a quasi-barren wasteland – good only for weekend adventurers zipping around on buggies. And the price of sand was, well, zero. Today, it fetches $80 a ton, making this year’s haul alone worth about $2 billion. There is perhaps no industry that better captures the money-multiplying effect of the Permian boom than the out-of-nowhere emergence of West Texas as a rival to the original capital of U.S. frack-sand mining in northwestern Wisconsin. With such explosive growth, of course, comes the risk of over-expansion. The local miners are unmoved by such talk – Hi-Crush CFO Laura Fulton actually laughed at the notion – but to the more dispassionate set of analysts and investors who watch the industry from afar, it is a major risk even if the oil market continues to go strong. All of these miners, with the exception of Emerge, now have operations in West Texas. And they all have quarries back in Wisconsin, too. That state had quickly emerged as the epicenter of the sand market when fracking took off a decade ago. Large, rugged and round as marbles, the granules found there are ideally shaped to prop open crevices in shale rock so that the oil can seep out freely. The West Texas sand isn’t nearly as big or as sturdy. And it’s oddly shaped, too – more like a jelly bean than a marble. It takes an army of trucks to haul that much sand to well sites. And they need to get in and out of the mines efficiently. Allen’s target is eight minutes or less. An automated system that knows which sand to feed each truck speeds the process along. Still, they come in so fast that the line can back up quickly. On a recent afternoon, it was several deep. Sergio Pando, a load-out operator, says that’s nothing. On a really hectic day, it can swell to 100.